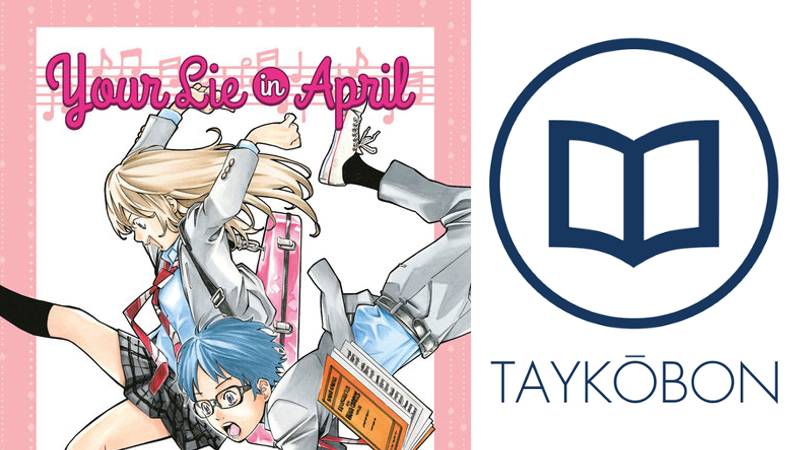 A combination of music and manga may not seem like a usual mix, and that is because Your Lie in April is hardly your usual manga. Your Lie in April explores the task of choosing between looking back or facing forward in time through the power of musical performance, this time between a piano and a violin. Kousei, having been pushed into performing on the spot with Kaori last minute, arrives at the performance hall and frantically attempts to prepare for his sudden role. However, he still concerns himself over his musical capabilities, having yet to get over the same dreariness that causes him to be unable to perform. Will he be able to lend Kaori a much-needed hand, or will his own handicap be nothing but a detriment for her? Anyone looking for a musical, romantic, or dramatic series will likely find something to enjoy in Your Lie in April. Your Lie in April is a strange beast in that it has this incredible focus on music as a motive force to drive its plot, yet is told through a medium (manga) that doesn’t feature audio! However, I would argue that the second volume has made this element one of the series’ greatest strengths by conveying the emotions and thoughts of the performers as they play their music, effectively translating the imaginary audio in a manner that actually works well in illustrated form. In a way, it’s better than an actual live performance because of the unique perspective you get when reading as you witness the progression of emotions throughout the ups and downs of the instrumentalists’ playing. This is made even more obvious when Kousei and Kaori perform their awaited duet as their emotions clash during the performance, and is the highlight in this second volume. By showcasing the thoughts and emotions of the players, Your Lie in April effectively bypasses another pitfall of musical performance in literature, the common issue of pacing. Much like elementary schoolers do with story lines when they attempt to write ‘novels’ (I did this), the automatic tendency for a literary interpretation of a musical performance is to skip through it much too quickly. This is something that is absolutely critical for a work such as April to avoid, as the performances are the climax of emotional progression for the characters and greatly affect the events both before and after, as evidenced heavily in April’s second volume. Thankfully, this is remedied as a significant amount of page space is dedicated to the performances through the progression of musical flow in each piece, and it is because of this that April is able to be such a wonderful musical story without necessarily featuring audible music to go along with it. On the subject of character development, although some might potentially find the thoughts and emotions a little bit heavy-handed for the characters, who are all at the young age of fourteen, I found that the way they were handled was actually quite admirable. What I mean by this is that much of the development is catalyzed by the music, as the stress and effort the kids go through during their performance vitalizes their thought process and causes them to come upon revelations that would otherwise have been discovered (or not) later in life. It’s the deep connections formed by music that drive the character development, and while it may seem heavy-handed, that really is the intended feeling to evoke, as in those moments of great emotion the characters are proportionally emotional. When you think about it, Your Lie in April really emphasizes the kind of ‘coming of age’ character development you would actually expect from teens, such as trying to fin your place in the world or acknowledging how you feel about the people around you, and in doing so through music, readers get to experience this right along with the characters. Honestly, my primary complaint is that Arakawa, for all of his surprising writing capabilities, sometimes really lets me down with his illustrations. I almost feel like as he drew the scenes, during the musical portions he was whole-heartedly embracing his characters and drawing them fully, while he rushed through non-musical scenes and let his character design suffer. While the illustrations during musical performances and most of the backgrounds are quite pretty, the ‘in-between’ chapters often fall prey to relatively poor quality illustrations, something that is made more obvious by the contrasting and quite excellent illustrations during performances. Since manga is a very visual medium, it is a bit of a shame that the drawings have this problem and hinder what is otherwise a very wonderful volume. Your Lie in April’s second volume continues to impress. Its use of music in conveying the thoughts and emotions of the characters as their performances push their own development is an absolutely wonderful thing to read, and although the illustrations can sometimes be slightly lackluster outside of the musical segments, I still highly recommend this volume to fans of the first one as well as anyone who is interested in a musical or coming-of-age story. Your Lie in April (Shigatsu Wa Kimi No Uso) Vol. 2 was published by Kodansha Comics USA on June 23rd, 2015. The series originally ran in Kodansha’s Monthly Shonen Magazine from 2011-2015, with an anime adaption by A-1 Pictures airing from October 2014 - March 2015. The next volume will be released on August 25, 2015. For reviews, keep an eye on AniTAY as well as Taykobon, our new archive for reviews of manga and light novels. Please also follow us on twitter @taykobon for more updates!